We would like to wish everyone a HAPPY NEW YEAR! 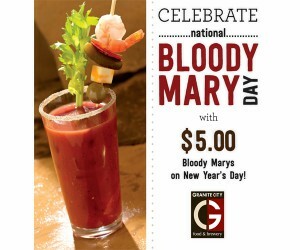 Not only is it the first day of 2016, but it is also National Bloody Mary day. 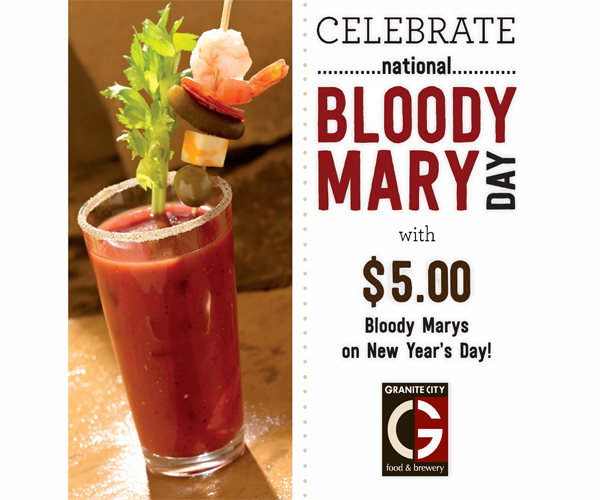 To celebrate we are featuring our Bloody Marys for $5 on 1.1.16!